My name is Melanie. I’m a 31 years old travel lover on wheels. 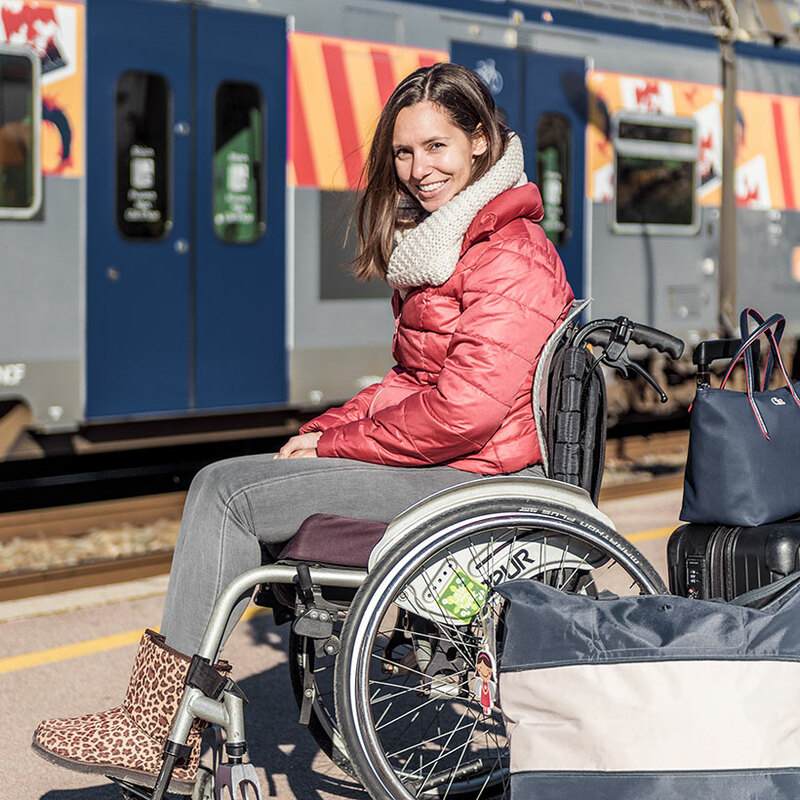 If you have been looking for wheelchair-accessible travel inspiration, don’t go any further! You’ll feel right at home, here on the Little Miss Turtle Wheelchair Travel Blog! On Little Miss Turtle I write about accessible travel adventures and my life with limb-girdle muscular dystrophy. I was diagnosed with limb-girdle muscular dystrophy type 2I (or to make it short LGMD2I/LGMDR9) at the age of 4 and got my first wheelchair around the age of 6 years. 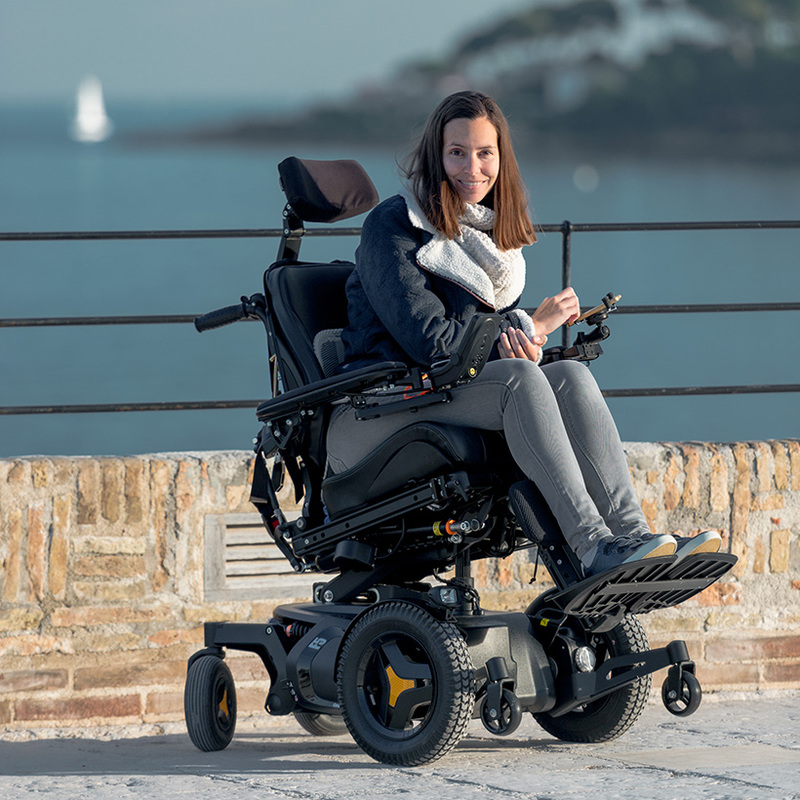 Over the years, my wheelchair became my best friend, and it continuously keeps me moving forward towards new experiences. I have a restless traveler’s heart and love to discover new places all around the world. Since the age of 16, the LGMD also affects my cardiac as well as my respiratory function. Years ago, I decided to live my life to the fullest, to travel as much and as often as I can as long as possible. Life can be short! Carpe Diem. Limb-girdle muscular dystrophy, or just LGMD, is a rare genetic muscular disorder with more than 30 known subtypes. The disease varies in severity. Symptoms can occur from early childhood up to adult age. It first affects the proximal muscles of the arms and legs, but finally, muscles all over the body can be involved. LGMD causes mild to severe weakness and muscle wasting, which can eventually lead to a complete loss of function. The heart, as well as the respiratory muscles, are affected in some subtypes. Nerves, other organs, and the brain aren’t affected. LGMD is often confused with MS, but it has nothing to do with it. WHY IS MY BLOG CALLED LITTLE MISS TURTLE? My enduring experience living with limb-girdle muscular dystrophy 2i has set my mind free from social convictions. I would like to share my story and especially all my wheelchair accessible travel adventures with you. The name “Little Miss Turtle” came up because back then, when I was still able to walk, I moved around slowly but steadily – just like a turtle does. Well, don’t miss anymore and Follow up! LMT is on Instagram, Facebook, and Twitter! Thank you so much! I really appreciate your comment. It’s great to hear that your progression is turtle-like :-)!! I’ve been in a Powerchair for a little over a year. Before that I had a walker. Before that, a cane. I just discovered you and would like to know more about the manual chair in the South Africa post from today.